After spending a decade at Heller Ford in El Paso, IL, Marty Heller headed to Pontiac to open the doors of Heller Motors in 1995. This location was founded on the same Heller values: honesty, integrity, respect, and customer service. Marty knows that putting the customer first leads to longevity and loyalty in this business, which is why he constantly strives to go above and beyond the expectations of our clients. When he isn’t in the office, he works in the yard (his therapy, he says), and enjoys spending time with his family. He’s been married for over two decades, and has both a son and a daughter. Marty is proud to operate a business that is very involved in the Pontiac community and supporting local organizations. Greg has done just about everything you can do at a car dealership…and we mean everything! Be it sales, finance, body shop, or service…Greg has been there. Whether it’s turning a wrench or finding a needle-in-a-haystack car for a customer, Greg can do it all! His good customers often turn into good friends, and his commitment to them extends much farther than the showroom floor. He’s a proud father, grandfather and owner of two beautiful Pomskies Jax and Bella. When he is not working hard in Pontiac, he’s probably soaking up the sun in his second home in Florida. A lifetime employee of the Heller Stores, Adam officially joined the family business after graduating Illinois Wesleyan University. 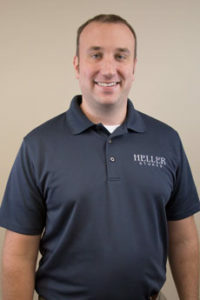 Having grown up in the Heller dealership, Adam knows the business through and through, and is happy to apply his expertise to helping you find the vehicle of your dreams. Adam isn’t all business though! He and his wife Jaclyn were married in 2010 and have two energetic children, Halle and Harrison! Outside of his family, he is a sports fanatic, be it the Cubs, Bears, Blackhawks, Illini, etc. Chances are, if he is not with his family or finding the car of your dreams, he can be found on one of the local golf courses! Glenn can be found at the sales desk alongside Adam and John. 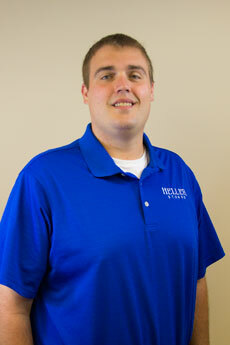 He joined the Heller family in 2008 after graduating from Illinois Wesleyan University! 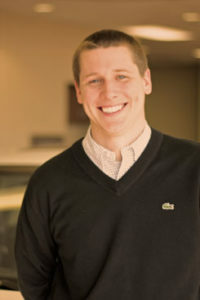 While he enjoys having fun with his coworkers, he is also a very talented sales manager who knows the industry very well. Customers who work with Glenn will tell you that he truly does have their best interests in mind and is very genuine. When he is not here being the entertainment for the day, you can find him spending time with his family. He and his wife, Annie, have two young boys, Charlie and Theo. He enjoys watching the Cubs, Bears, and Blackhawks! 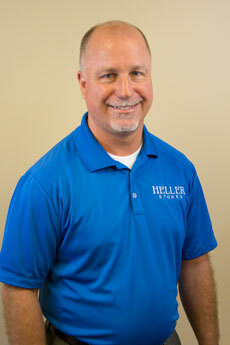 With Glenn around, we can guarantee there’s never a dull moment here at Heller Motors! 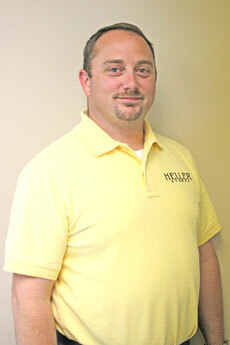 John has worked his whole life in the automobile business, many of them with Hellers. So you can say he knows the ins and outs of the car business pretty well! Along with John having many accomplishments in the car industry he also has many certifications including GM, FCA, Joe Verde, and Lincoln. John is known for providing a fun, hassle free experience for our guests. Customers like coming to John because of his honest and straightforward nature, and the way he makes the car buying experience easy! He loves helping them achieve their goals! When John is not here he loves spending time in the woods hiking, fishing, and playing with his two BIG dogs, Cooper and Hunter. One day hopes to see the Batmobile or Tuscan Raider Scooter from Star Wars in his garage! With his laid back, yet informational style, John looks forward to making your next purchase easy…..the same way he has for over 20 years! 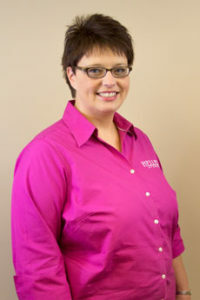 Angela has been working with the Heller family since 1998 and always has a smile on her face! Keeping the office in working order is no easy task, so in Angela’s spare time you can find her in the great outdoors with her family. For almost two decades, she and her family have been involved in the Livingston County Relay for Life and, as a team, have raised well over $90,000 for the cause! Lezlie Brannan joined Heller Motors in 2009 after spending years in the advertising industry. 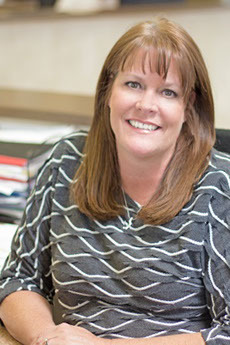 She enjoys helping customers and ensuring that the sales staff has the tools they need to provide the best service possible. She’s a bit of a statistics nut and enjoys sifting through the numbers behind our business. When she’s not handling the BDC at Heller Motors, you can find Lezlie outdoors, most likely by a pool or on a beach somewhere. Spending his whole life in the field, Bill now finds himself at Heller Motors as our service manager. He knows that vehicle repairs are rarely enjoyable experiences and is happy to have the chance to help people in their time of need. He strives to make the experience as stress-free and enjoyable as possible! Bill and his wife Chris have seven children –five boys and two girls –who, according to him are the cause of all his gray hair! 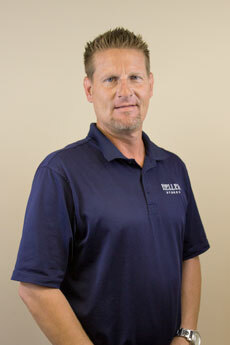 Doug came to Heller Motors over 10 years ago to have his truck serviced and left with a job. Doug is a friendly, honest guy working for a friendly, honest company, and he is willing to go the extra mile to solve a problem! If he’s not at work and the fish aren’t biting, he will probably be at home with his wife, daughter, and dog! 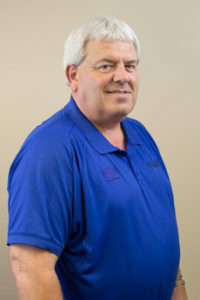 Joe is a veteran member of our sales team with 24 years of industry experience. He takes care of his clients by being honest and treating them like friends, before, during, and after the sale. His son Jake is the most important person in his life, but he makes sure to include plenty room for his two dogs, Edgar and Kinnica; and of course Harley (his motorcycle). 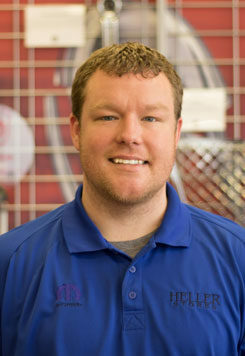 Jeff has been in sales since 2008 and is a great asset to the team here at Heller Motors! Jeff is married to Molly, a school teacher here in Pontiac, and they have a young daughter, Lena. Customers love working with Jeff because they don’t feel like they are talking to a salesman…but a friend! When he is not here trying to help customers with his endless product knowledge of pick-up trucks and other vehicles, he enjoys golfing, shooting, and yard work. 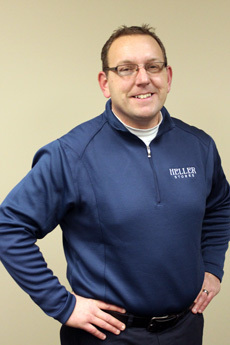 Jeff is a huge fan of the St. Louis Blues and would love to talk hockey with you if you’re a fan! 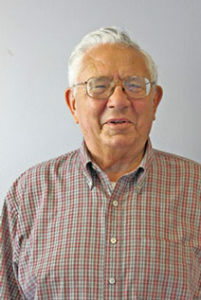 Bob grew up just south of Pontiac in Chenoa, married his high school sweetheart, and settled in Pontiac. Along with his two boys, he loves his pet schnoodle Jinx who he spends a lot of his time with! When he is not here helping people find the perfect vehicles, he can be found cooking a delicious meal or playing disc golf. He takes great care of his customers and enjoys meeting and chatting with everyone who steps into our store! 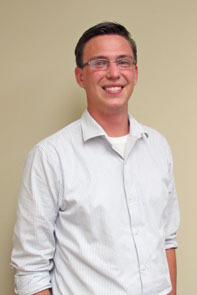 After working in corporate electronic sales, Kyle started seeking a change when he found Heller Motors! He loves the family first atmosphere and that everyone is treated with respect and that they wants to help in every way possible! He’s been told that he’s easy to talk to and easily relatable! He’s passionate about his family which includes his amazing wife and beautiful twin girls who were born in October of 2015. He loves spending time with his dogs, playing video games with his brother, and singing in church. If you want someone who is willing to do anything to help you, come on in! 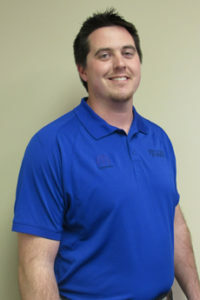 Kyle is up for any challenge, and his goals to find you the perfect vehicle and for you to leave completely satisfied! Justin came to Heller Motors looking for a great opportunity in the car sales industry! He values the great reputation and endless resources to serve his customers. He’s a high energy team member who pays attention to his customers’ needs. 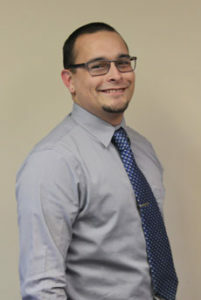 After graduating from Olympia High School, Justin played baseball for Lincoln Land Community College, and recently moved here to Pontiac. He is a lover of everything sports, especially the Cubs and Packers, so if you love talking sports, he’s your guy! He also loves the world of music and enjoying the outdoors. Someday he dreams of parking a ’67 Camaro in his garage. Greg joined Heller Motors after serving in the military. After attending Military Airborne School, the NCO Academy, and serving our country on his deployment to Afghanistan, he was looking for a new challenge and a job he loved. He found that at Heller Motors! He loves meeting new people and the excitement a new car brings to them. On his off time, he can be found in the great outdoors hunting, fishing, golfing, or spending time with his fiancée Cassie! If he could go back in time, Greg says he’d love to have dinner with General Patton over a slice of pizza! 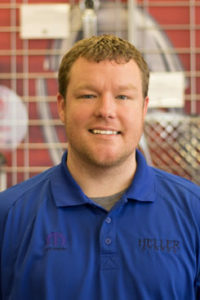 Jeremy is one of the newest members here at Heller Motors! Born and raised in Pontiac, he knows how to make you feel at home and comfortable with his laid back personality. He has 13 years of sales experience and loves nothing more than seeing the excitement from his customers each and every day! When he is not helping customers find the car of their dreams, he is striving to be the best father he can be to his amazing daughter Landyn! One day, he hopes to have an old school “Rat Rod” that’s loud and can do crazy burnouts in his dream garage. He hopes that one day he will be able to go to Vegas! 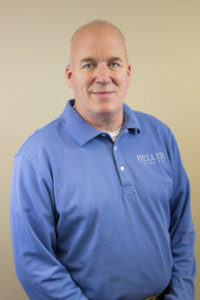 Stop on in and meet one of the newest members of our Heller Motor’s team because he would love the opportunity to get to know you! 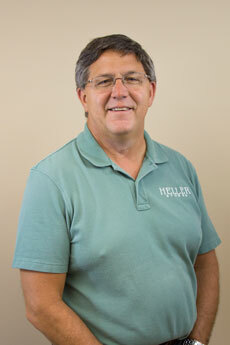 You can find Keith in our finance department working away! When you sit down with Keith, you’ll know that he genuinely cares about you as a customer and as a person. 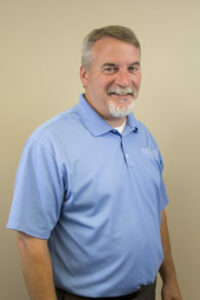 Outside of work, he enjoys volunteering for charitable organizations, visiting historic places, and spending time with his wife daughters, and granddaughter! If you do business at Heller Motors, there’s a pretty good chance that you’ll find yourself in Jeff’s office along the way. He’s been with us since 2003 and has a knack for putting an “impossible” deal together. Jeff is a Red Sox fan who likes classic cars. He’s pretty easy going and likes nothing more than being able to relax on a beach, attend the movies, and go to a local flea market. He one day hopes to visit Germany and Ireland! Ask his customers, and they’ll tell you that he’s fun to work with and does a great job of making the process as easy and pain-free as possible! Here at Heller Motors, you can find Patrick managing the detail department. He strives on exceeding customers’ expectations and accomplishing difficult challenges that are thrown his way. 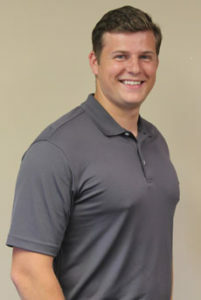 Before moving to Arizona and back to Illinois for a career change, Patrick got his Bachelor of Science in Sports Management at Millikin University. 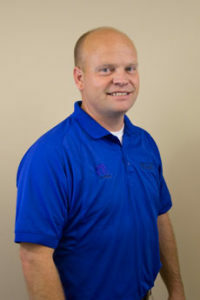 After graduating, Patrick spent 11 years metal polishing and is considered a nationwide expert! He decided to get his pilot license and is very passionate about flying. If he isn’t flying, you can find him at home relaxing with his fiancée, hunting, or working on his jeep, boat, or motorcycle! Patrick most likes the friendliness of the employees here at Heller Motors and the family values the company is built on! Stop on in for service, and he promises you will leave satisfied! 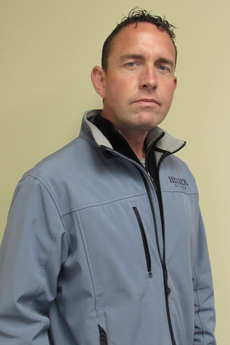 Jason grew up in Pontiac and has spent the majority of his life working at a dealership. You’ll find him running around the service department, but don’t worry, that’s just part of his job! Despite working a fast-paced job, Jason always has time for his customers and makes sure their vehicles are receiving proper services. Jason is not only Chrysler and Ford certified, he is hands on in the shop daily and can tell you most of everything you need to know about your vehicle! When he’s not on his feet at Heller Motors, he’s probably chasing after his two young kids or out on the golf course!